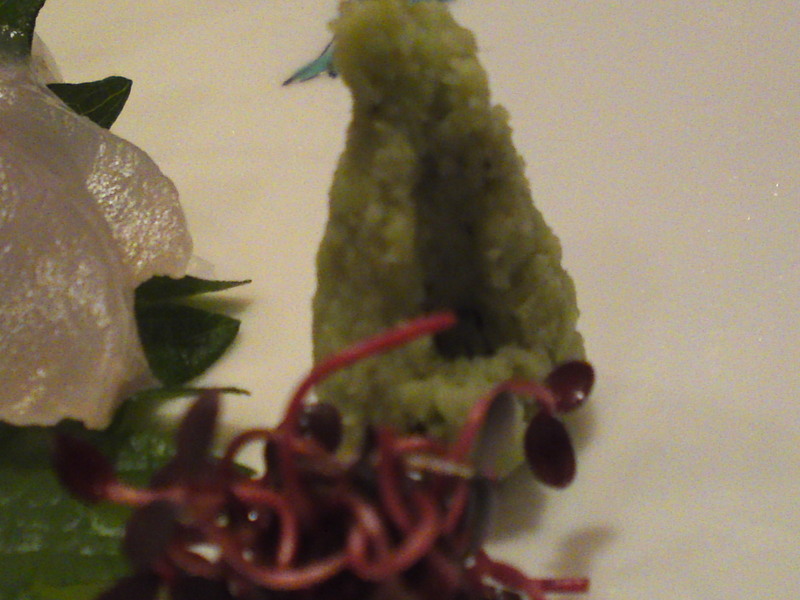 Strong Points: Refined Japanese gastronomy. 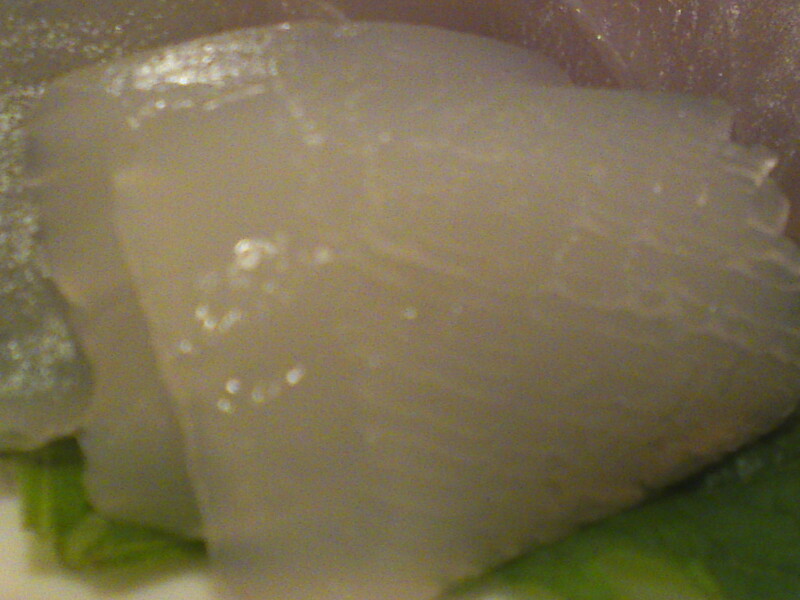 Great list of Shizuoka Sake. 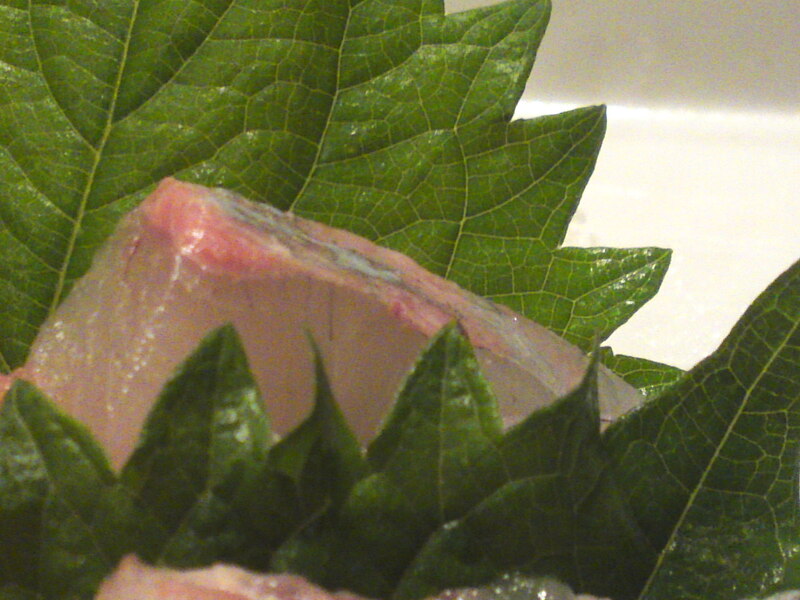 Tomii is the typical Japanese high-class Japanese restaurant with all the trappings you ought to expect. The quality certainly warrants the prices, but it is always an experience, be it for a quick visit or a more elaborate repast. 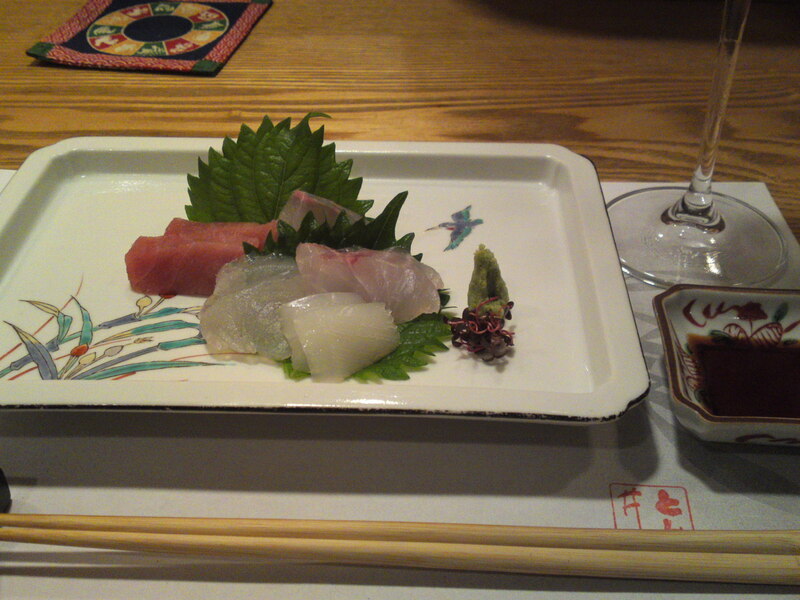 An indeed very sophisticated serving of five different sashimi! 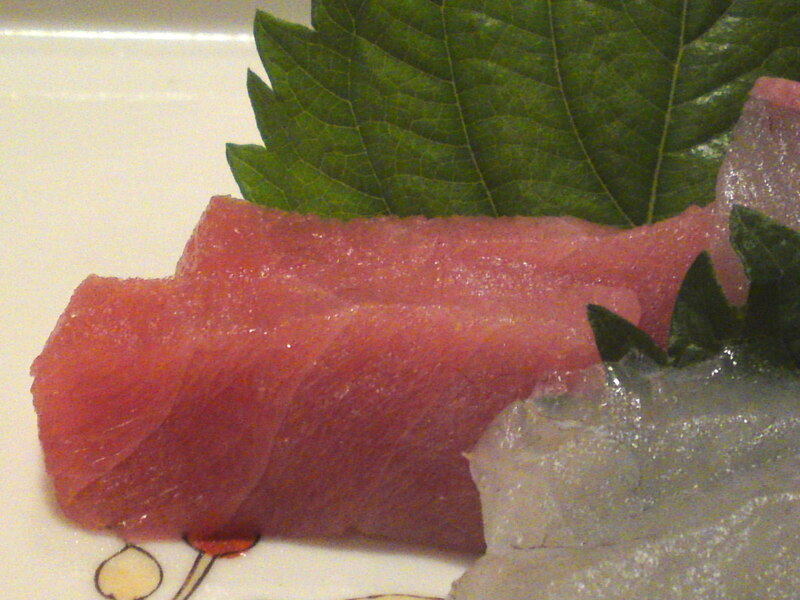 Maguro akami/鮪赤身, lean part of tuna. 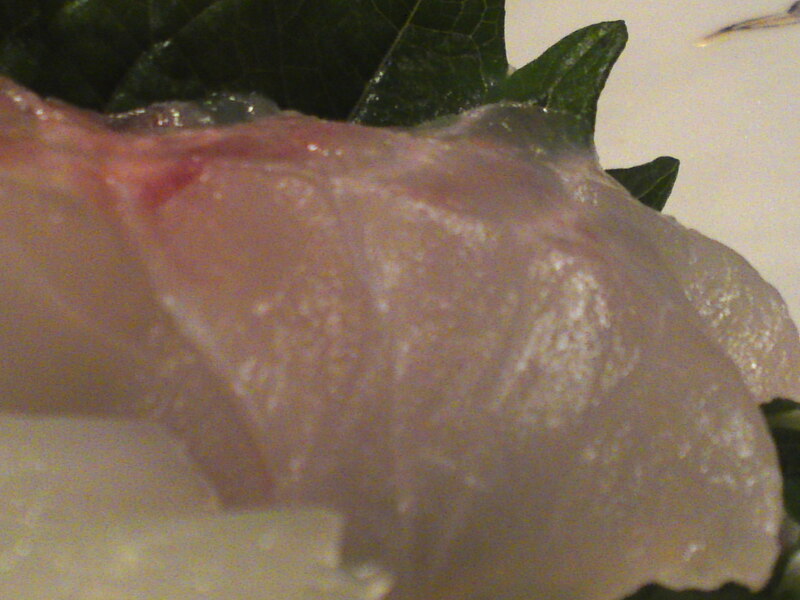 Kampachi/勘八, great Amberjack from Sagara, Shizuoka Prefecture. 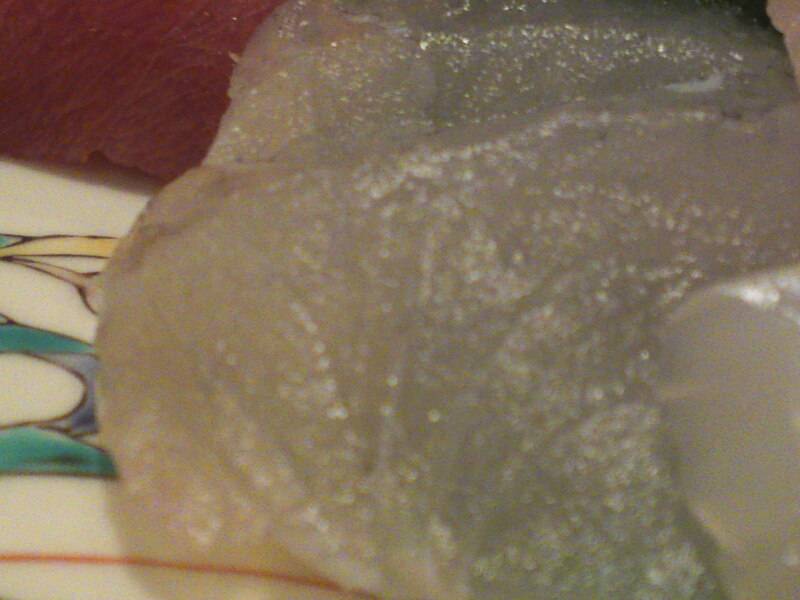 Kochi/鯒, Sand Borer-Papilloculiceps longiceps, from Mochimune in Shizuoka Prefecture. 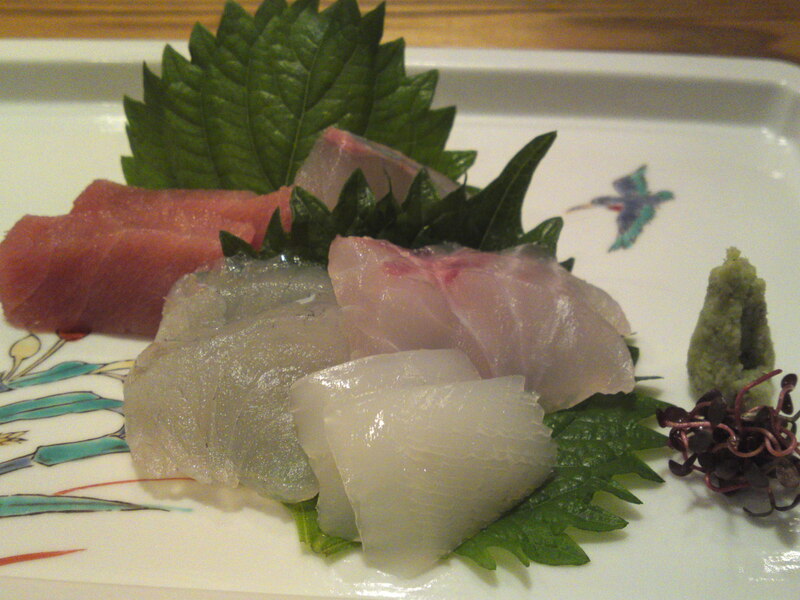 Naturally, the freshly grated wasabi and the shiso, sprouts and other vegetables are from Shizuoka Prefecture!